3 cabin late model Squadron available as a 1/4 share with Rottnest mooring and yacht club pen. Powered by Volvo D11 670hp engines with shaft drive and a bow thruster. The aft galley location is ideally suited to the Australian style of boating. The spacious saloon includes the powered side windows which allows natural ventilation. Downstairs you will find three luxurious cabins and two bathrooms with plenty of flexibility to setup as twin or double cabins. 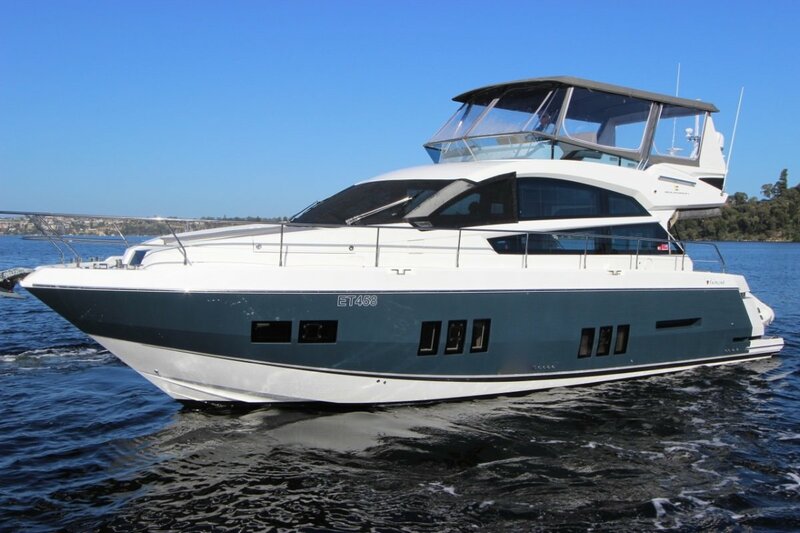 Full Garmin navigation system including 2 x 12 inch colour touchscreen GPS displays and autopilot. Onboard there is internet, wi-fi, and satellite TV. On the swim platform there is a Zodiac RIB tender with Yamaha 9.9hp outboard easily retrieved using a hydraulic tender launch system. No expense spared with fully enclosed bimini and LED lighting. Inspection will definitely impress.